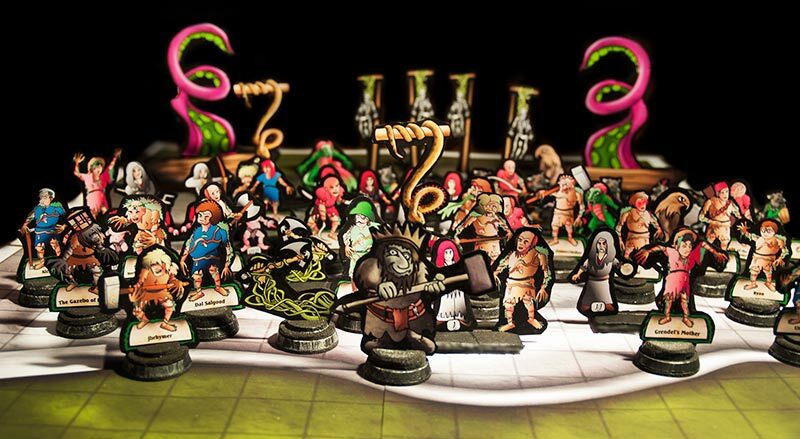 Paper minis are an inexpensive way to add monster-specific figures to your tabletop. We include them with every one of our adventures. (A Gathering of the Marked nearly has 100!) If you create separate bases that the minis can slip into, you can store hundreds of them in a very small space. I love the convenience of placing all the minis for a particular adventure into a slotted container or old frosting cup, and it’s cool to be ready to go in moments once the adventure starts.